A couple new movies hit theaters this weekend before the 4th of July. 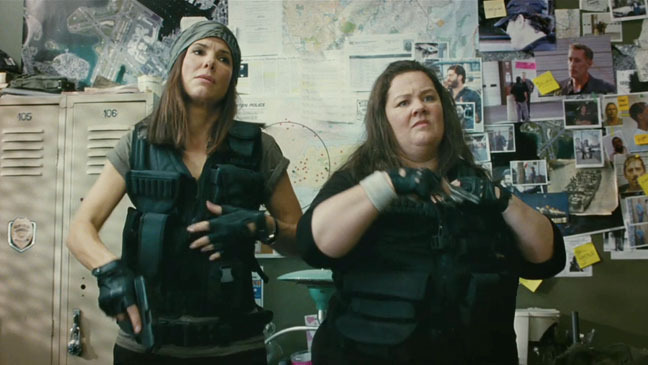 Hit Factor: From the director of Bridesmaids, and Melissa McCarthy is hot right now. Flop Factor: I didn't laugh at the trailer. Chuckled, maybe. Hit Factor: An action movie... that Gerard Butler movie that came out earlier this year did well. Flop Factor: For a Roland Emmerich movie, there isn't a huge ridiculous VFX money shot (like 2012 or Independence Day)that pulls you into the trailer.